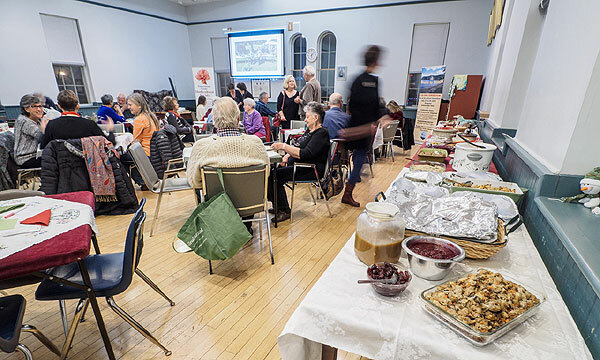 Approximately 40 members attended the festive pot luck dinner. A very good time was had by all! 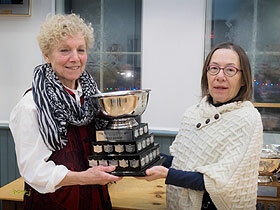 Following the dinner, the Annual General Meeting was called to order by president Lise Bois. The meeting was called to order by the President, who introduced District 3 President Penny Stewart. Proceedings began with a motion to adopt the Minutes of the Annual General Meeting of 2016. There were neither questions, nor discussion of the motion which was deemed to be carried. Year in Review: Lise ran through the highlights of a strong line-up of 2017’s speakers and the society activities, focussing particularly on the very successful Flower Show held in Wellington this year. The 2018 show will be held in Wellington in mid-June. Membership: Membership is rising and currently stands at 80 members. The financial report was provided to all present, and briefly presented by John Garside. There were questions from the audience (which may be addressed in 2018), but no changes were required to the 2017 report which was duly approved. Auditor Appointment: on a motion from John Garside, duly seconded, the continuation of Auditor services from the current provider was approved. President Lise Bois awarded certificates to those people who had provided extraordinary service during the year. 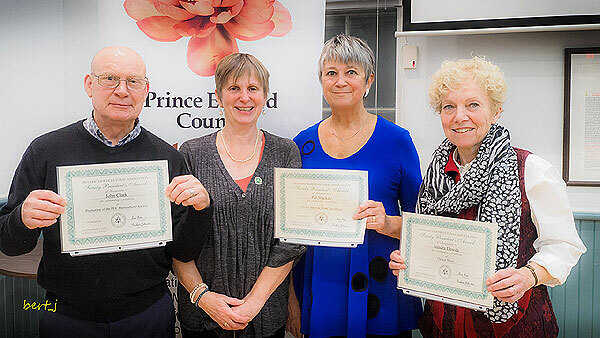 Below, left to right: John Clark, Lise Bois, Pat Stuckey, and Sandra Dowds [award recipient Jan She absent from picture]. Penny Stewart took the ‘chair’ to deal with the election. Lise introduced the members who had agreed to stand for election (through the prior work of the election committee) and invited nominations from the floor. There being none, those standing were duly elected by acclamation. Left-to-right below: Ursula Cattelan, Lise Bois, Nancy Kish, John Garside, Kathy Bondy, John Clark, Darlene Johnston, Sally Clark, and Hedy Brambat-Kellar. 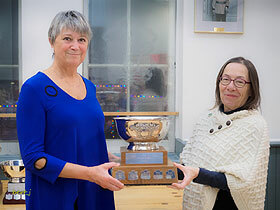 Penny Stewart gave a brief presentation with greetings from the OHA which wishes to thank volunteers (who contributed almost 520,000 hours of effort for the Association). Penny talked about the upcoming conference in Kingston for 2018. Note: a more detailed account of Penny’s address is available as a 185kB Adobe pdf download here. 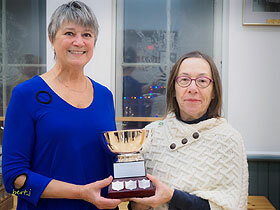 Kathy Bondy presented the society prizes for Flower Show categories as well as the monthly mini-show competition. 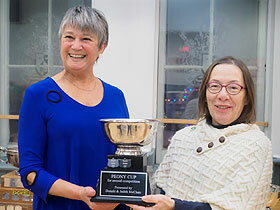 Penny Stewart presented the prize for Kathy Bondy’s win. 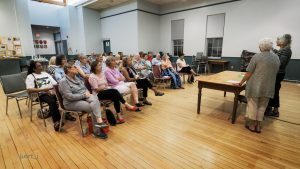 The meeting concluded after Lise thanked all volunteers who had been involved with organizing the evening’s proceedings. It’s all happening right now! Friday and Saturday until 9, Sunday until 2. 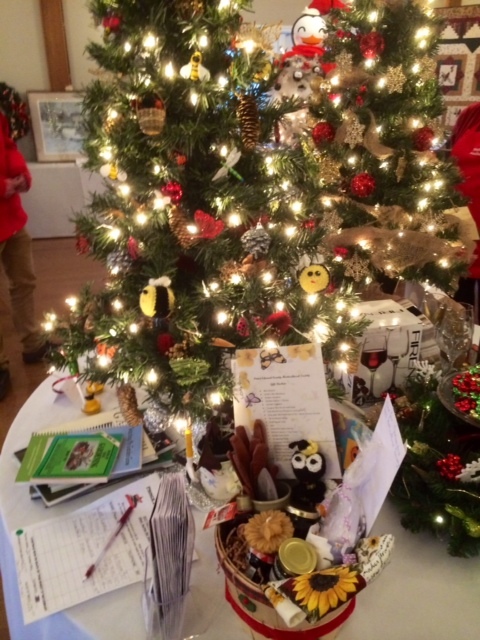 Come and see the Horticultural Society’s tree … and more. Click here! Lise Bois opened the meeting by welcoming the members and guests present. She noted that the November meeting was our Annual General Meeting and the customary pot-luck meal, and would begin at 6:00 pm rather than 7:00 pm. The AGM is when the executive gets elected for the upcoming year. Please consider volunteering yourself! Ursula Cattelan volunteered to serve as Treasurer for the next year (note this is not an elected position). Also, membership fees are now due.If you haven’t done that yet, treat yourself for Christmas and buy a membership or family membership. Lise gave a lavishly illustrated presentation on how to extend the gardening season. At the start of the season surround plants with straw for warmth; think about ‘grow lights’ (after Christmas) inside your plant boxes, etc. 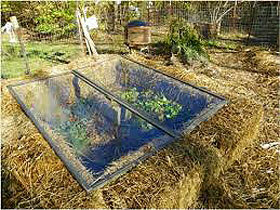 DIY cloches can be built very cheaply and protect new growing plants. 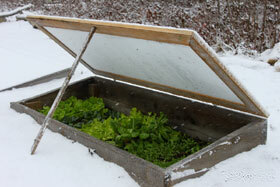 Protect growing plants from early Fall frosts using cold frames allows you to get fresh veggies well into the year. Finally, remember to ‘extend’ the season by pickling your vegetables. 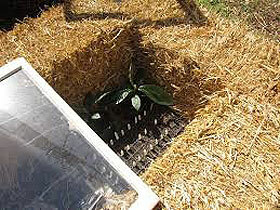 And on a closing note: before the ground is frozen, fill a couple of recycled plastic containers with earth and add fruit or vegetables/herbs on top so that the plants go through the entire freezing and thawing cycle and nothing gets eaten by a passing squirrel. 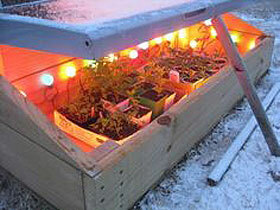 This works best with self-sowing seeds like tomatoes, marigolds, cosmos, dill, coriander, and much more. Jackie Darton gave a presentation about olive oils. She explained the differences between red and white balsamic oils. 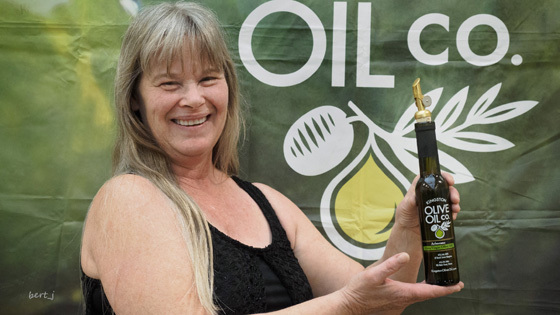 She explained that the oils for sale at the Picton store were sourced from many locations to provide year-round fresh oils from various seasonal harvesting locations. She also noted that the oils were classed as mild, medium, and robust, with tobust having the highest concentration of anti-oxidants in the product. 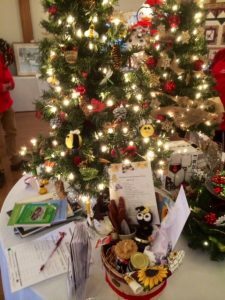 This month, there were many entries in the mini-show. Members vote their preferences. The show is open to all. Give it a try! 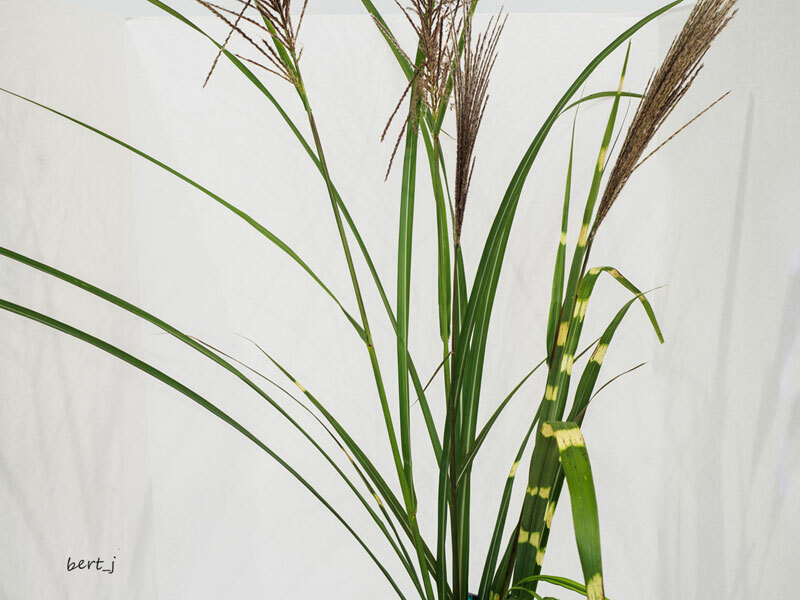 Display Class – Grasses in bloom: 1st – Ursula Cattelan (below left), 2nd – Kathy Bondy (below centre), and 3rd – Pat Stuckey (below right). 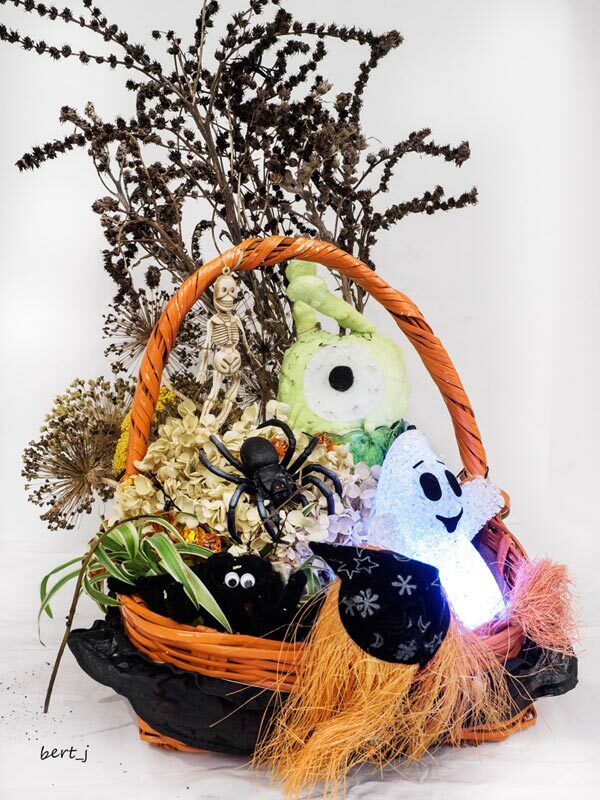 Design Class – Haunted Hallowe’en: 1st – Lise Bois (below left), 2nd – Phyllis Davis (below centre), and 3rd – Kathy Bondy (below right). 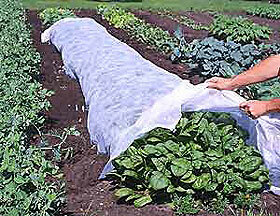 Our October meeting will begin at 7:00 pm with Lise giving a small presentation on extending the gardening season. Our guest speaker will be Jackie Darton from Kingston Olive Oil in Picton. Jackie will talk to us about the process of creating their olive oil and the balsamic vinegar. There will be a tasting of some of their olive oils and balsamic vinegar. Some products will be available for purchase. Lise Bois opened the meeting by welcoming the 30 plus members present. She reminded everyone that membership fees are due. It’s still $15.00 for an individual and $25.00 for a family. Lise also reminded members of the 2018 OHA convention that will occur on July 27, 28, 29th in Kingston. We will need volunteers for the event. 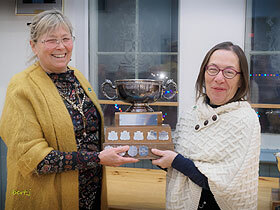 She talked about our successful participation at the Picton Fair in early September. We had lots of people visit our booth. We had beautiful posters from the Canadian Wildlife Federation about bees, pollinators, butterflies and birds to give away. Lise mentioned the pot luck dinner at her house where members shared some of their ideas for future workshops/meetings. She concluded her opening remarks by talking about the importance of “bugs” in the garden, and regaled the members with interesting bug facts: there are 300 pounds of bugs for every pound of humans; beetles are the largest group of insects. 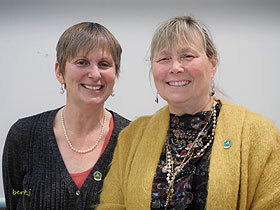 Our speakers were master gardeners Sandra Goranson and Maxine Thompson. The presentation was all about fall gardening. 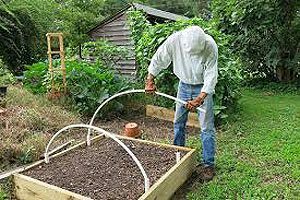 This included how best to clean your garden (leave some seed heads for birds and bugs), getting rid of infected plants, mulching tender perennials and tips for planting bulbs. They also talked about planting some perennials at this time of the year. Members also offered their tips for fall gardening. It was a very good interactive meeting. Lise asked members to collect seeds for a possible seed library or seed exchange. 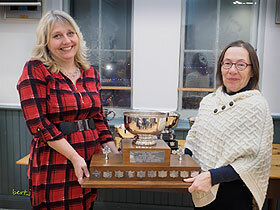 Design – Pot-et-Fleur: Kathy Bondy (at left below) was voted first, Laura Bryan (centre) was second, and Phyllis Davis (right) was third. 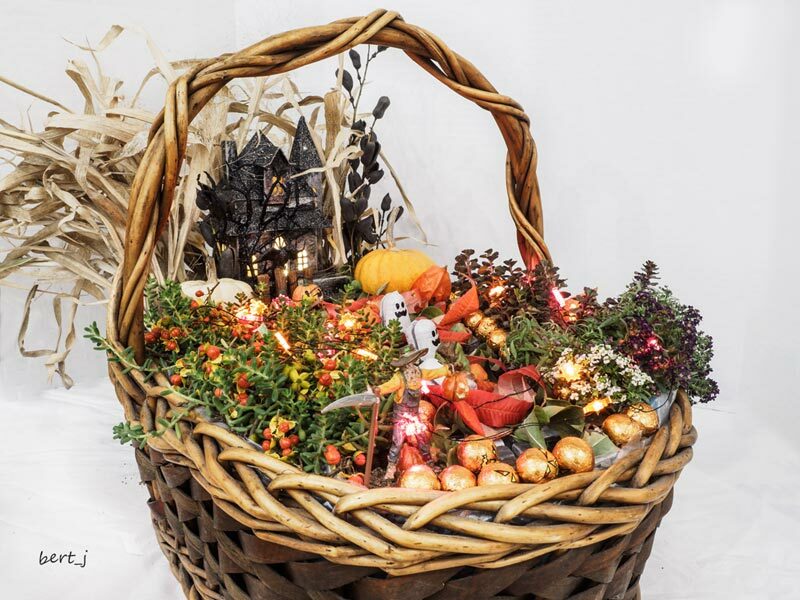 The September meeting will be held on Wednesday, September 27th, beginning at 7:00 pm at the old Fire Hall on Ross St.
Master Gardeners will provide the main presentation and speak about Fall Gardening. 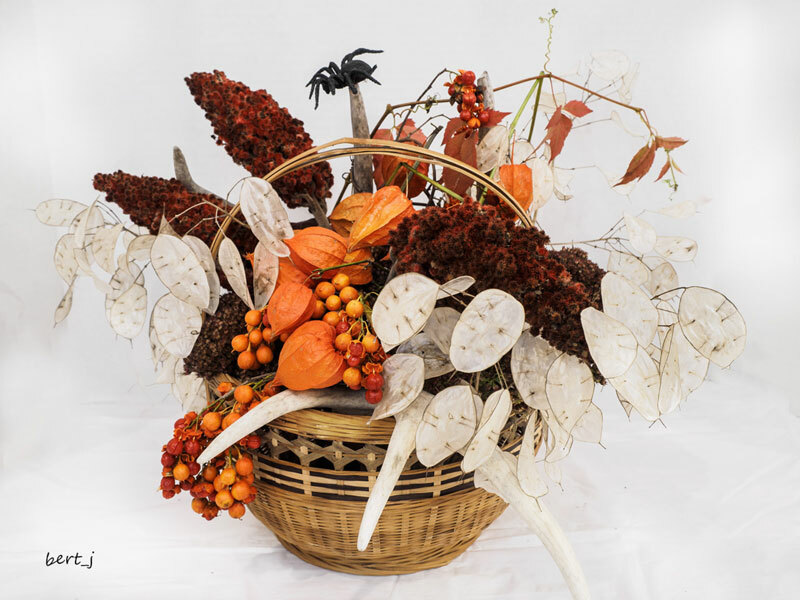 Anything you ever wanted to know about Fall clean-up, and what to plant now, and bulbs. 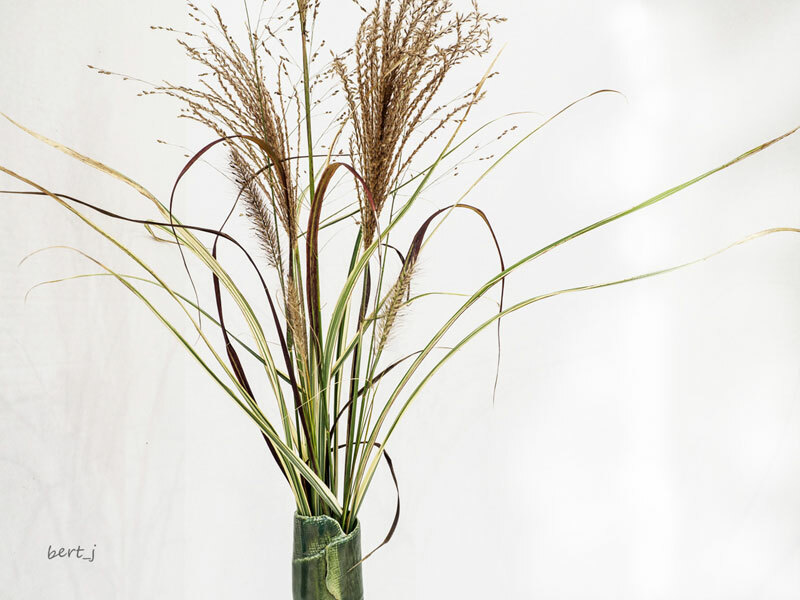 Display – a garden pest (insect) in a jar with foliage. 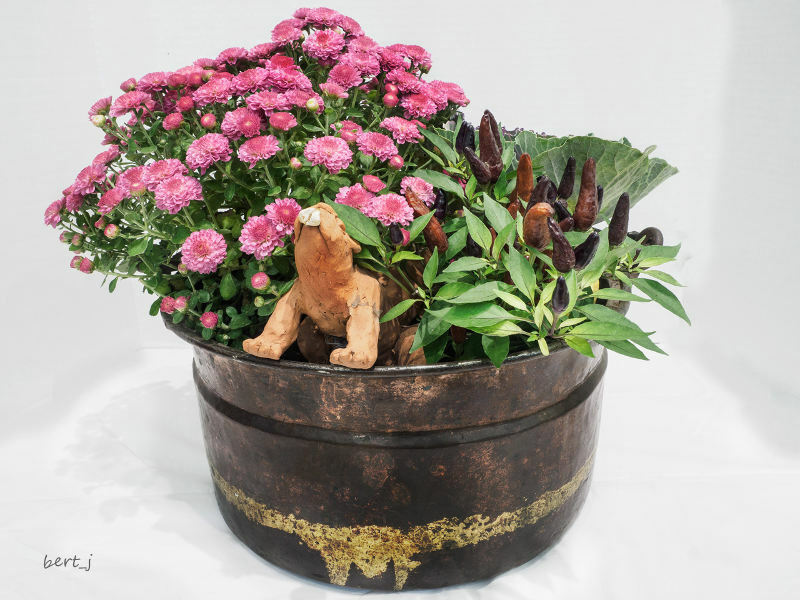 Design – “Fall Fantasy” – pot et fleur. 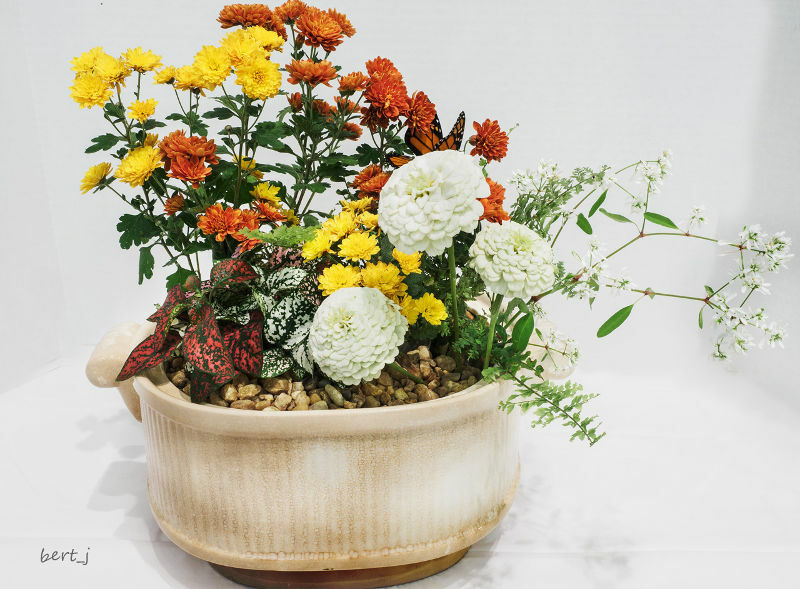 Pot et fleur – an exhibit of growing plants in or out of pots, packed lightly with moisture-retaining material, plus cut flowers in tubes of water, oasis or other material, all assembled in one container. Moss, decorative wood and rock may be included. No cut foliage is permitted. 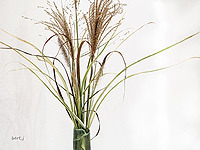 However, cut flowering and /or fruited branches may be used. Did you know that the dreaded hornworms turn into hummingbird moths? I want to thank all the volunteers who came and helped set-up (Ron, Brian and Ann) and clean-up and worked the day, some all day, of the Show. Members also baked for the Tea room and there were many plants donated to the plant sale. Thank you Kathy and Elaine for organizing the plant sale and Harriet and Peter for donating so many plants. Thank you Sally, Ria, Darlene, Sandra and Susan for making the Victorian Tea such a success. We served over 75 people! Thank you Sandra and Pat for a truly amazing Flower Show. The entries certainly generated a lot of oohs and aahs. The 4H participation was very much appreciated. Ingrid and Laura made many children happy with the bug house painting activity. It was really nice to see kids taking part of the Show. Carson and Stacey did a great job at setting up and encouraging people to bid at the silent auction. Thank you Carson for donating all the silent auction items. 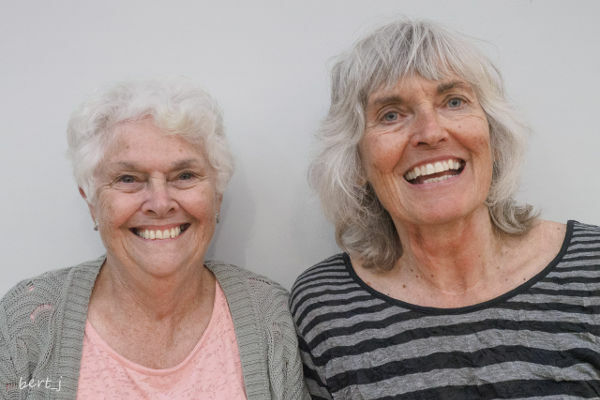 Mary and Sheila encouraged (and got) new members to join the Society. 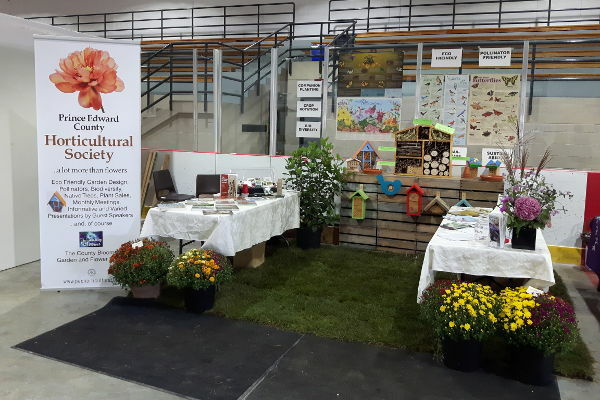 The Master Gardeners were a very welcome addition to the show. There were a lot of people with questions about gardening and the sessions on container planting were great! Thank you Ren, Marianne, Virginia and Barbara. Thank you Hedy for making sure that our wonderful vendors were happy and be successful. Thank you R. John for being the go-between for all of it. Thanks to John Clark, we had beautiful signs leaflets and flower show guides advertising our events. Thanks, too, for our Flower Show photographer, Bert Jenkins. Bert makes sure that we get to enjoy the beautiful floral display just a bit longer with his amazing photographs. 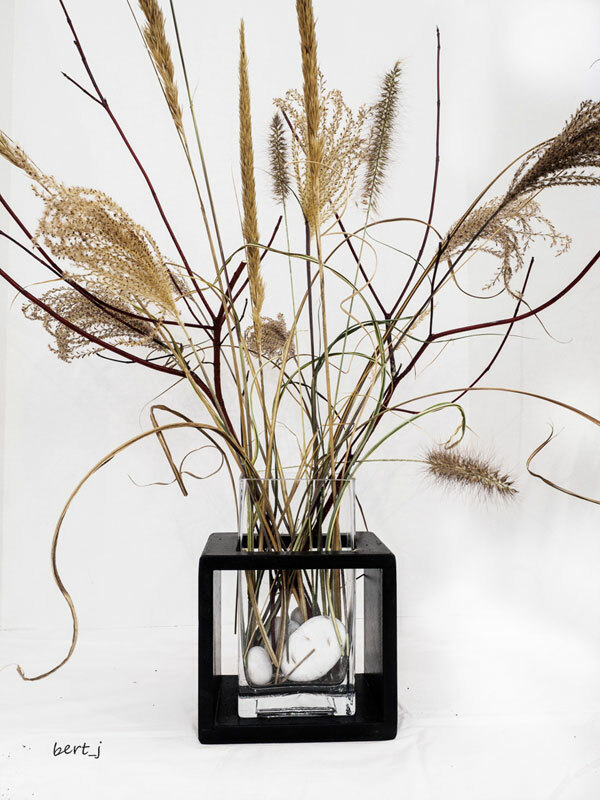 His photos of the winning flowers will appear soon on the PEC Hort. Soc. website. 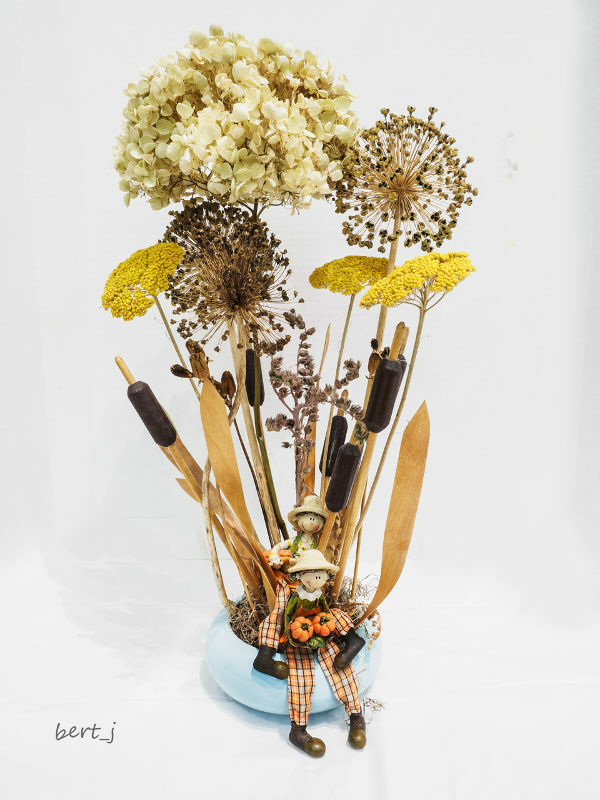 Also at the Flower Show were Carolyn Goldie on set-up, Joe Kitchen and Margaret Kirk recorded the winners and Virginia Cresswell Jones gave out the ribbons. I need to thank Jan Skelton for helping with the plant sale (before and during). I’d like to also thank the Toronto connection: Isabelle, Janet, Linda, MJ and the girls, Ruby, Emily and Beatrice. 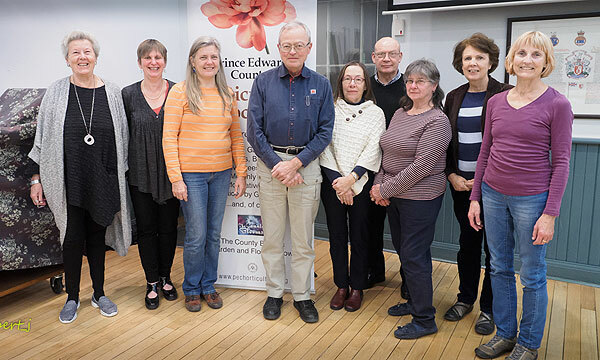 The executive: Sally and John Clark, John Garside, Sheila Simmons, Darlene Johnson, Kathy Kingsley-Bondy, Hedy Brambat-Kellar and Carson Arthur worked incredibly hard to make this event as successful as it was. Thank you all so very much. We had so many helping hands this year. I apologize if I’ve forgotten others. I am truly grateful for all the help we received. We had a wonderful day, weather wise and having the Wellington Farmers Market across the street meant that many people came and checked us out. There was a real community feel to the whole event. Thank you to all who came! 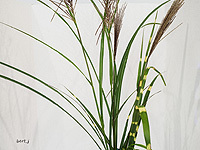 Full results from the Flower Show, together with Bert Jenkins’ spectacular photographs are expected soon. And a special note: Judy Young won the People’s Choice Award for her entry in the Informal Flower Show. She won a lovely terrarium donated by Carson Arthur. The executive will meet Thursday to assess the Show. If you were there and have comments or suggestions, we’d really appreciate hearing them. It will help us make the Garden Show an even better event! Don't wear perfume in the garden unless you want to be pollinated by bees.